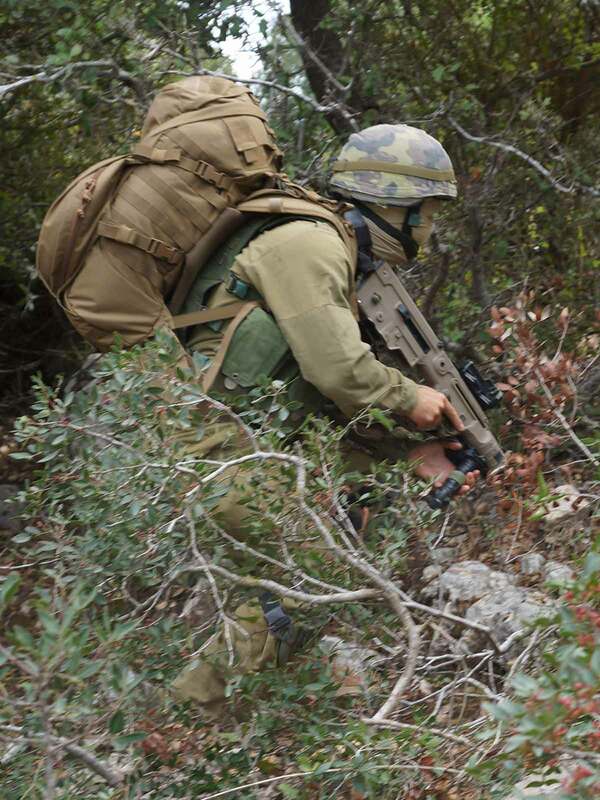 The Double D 45L Hydration Cargo Pack offers smart and simple compartments, the unique transporter flap with two vertical front-pouches plus straps and MOLLE webbing to attach a helmet, tools and wet or dirty gear to the outside of the pack. The Double D is designed for ballistic vest integration. High quality materials ensure protection of the gear stored and durability against tear, abrasion and rough usage, while keeping the backpack as light as possible. The WLPS Low Profile 3L bladder is included. Ensuring the soldier's agility and mobility with features like the contoured shoulder straps, rotating boomerang shaped hip belt for easy body armor integration, compression straps, angled top lid to ensure free head movement also when operating in prone firing position. For pack stability and enhanced load bearing performance the Double D features a Suspension System with "T" formed aluminum bars. Transporter Flap for external storage of helmet, jacket, etc.